The highly unusual exchange seemed to come out of nowhere on a rainy Sunday morning that Donald Trump began in the White House before skies cleared and he headed to a nearby golf course. Donald Trump has rarely been one to calmly endure criticism. 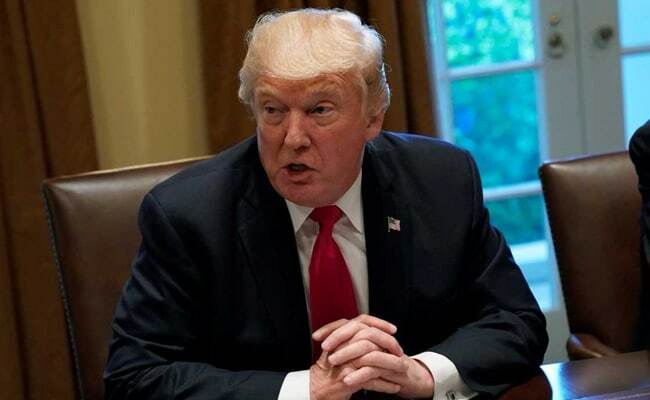 Washington, United States: US President Donald Trump and Republican senator Bob Corker engaged in an extraordinarily pointed back-and-forth on Sunday, with Trump saying the senator lacked "guts" and Corker replying that the White House had become "an adult daycare center." The highly unusual exchange seemed to come out of nowhere on a rainy Sunday morning that Trump began in the White House before skies cleared and he headed to a nearby golf course. Corker, a respected moderate who once supported Trump, has emerged in recent months as one of the president's most outspoken Republican critics. He recently said that only the presence of the generals in Trump's inner circle had kept the White House from descending into "chaos." Trump made no mention of that remark in his tweets Sunday, instead attacking Corker for his recent decision not to seek re-election and saying that as chairman of the Foreign Relations Committee the Tennessee senator bore heavy responsibility for what Trump considers the deeply flawed nuclear deal with Iran. "..my endorsement). He also wanted to be Secretary of State, I said 'NO THANKS.' He is also largely responsible for the horrendous Iran Deal!" Trump added he expected Corker to be a "negative voice," and that he "didn't have the guts to run." Trump's tweetstorm was not particularly unusual -- he has rarely been one to calmly endure criticism -- but Corker's blunt rebuttal was strikingly rare, coming from a fellow Republican in such a prominent position. The senator, perhaps feeling liberated by his decision not to seek re-election, tweeted: "It's a shame the White House has become an adult day care center. Someone obviously missed their shift this morning," hinting that presidential caretakers were not doing their job. A few hours later, Trump was online once again -- hitting back to suggest Corker's achievements in office have been limited. "Bob Corker gave us the Iran Deal, & that's about it. We need HealthCare, we need Tax Cuts/Reform, we need people that can get the job done!" he wrote. The Trump-Corker feud, long in the making, flared up last week after Trump seemed to pull the rug out from Secretary of State Rex Tillerson as the Texan attempted to open lines of dialogue with North Korea. Trump tweeted that Tillerson was "wasting his time trying to negotiate." A clearly frustrated Corker told reporters on Wednesday that Tillerson was not getting the support he needed from above. He then added, "I think Secretary Tillerson, Secretary (of Defense James) Mattis and Chief of Staff (John) Kelly are those people that help separate our country from chaos, and I support them very much." While he did not mention Trump specifically, his meaning seemed clear. Corker had supported Trump's presidential campaign. He reportedly was considered as a possible vice presidential running mate to Trump, and later as a potential secretary of state. But the relationship took a turn for the worse in August. After Trump's much-criticized remarks about the violent protests in Charlottesville, Virginia, Corker said that Trump had "not yet been able to demonstrate the stability, nor some of the competence, that he needs to demonstrate." Without such qualities and a better understanding by Trump of "what made this nation great," Corker told reporters, "our nation is going to go through great peril."